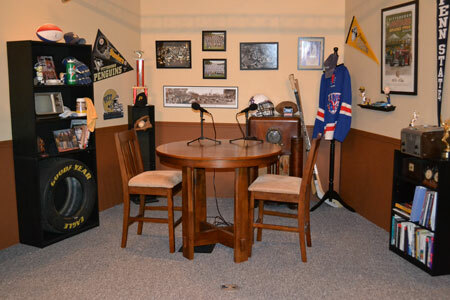 Coming to you from RMG's Studio 2 in Somerset, PA, RMG's TRASH TALK delivers some of the best (or worst) sports talk via RMG's YouTube Channel. Hosted by Dave Miller, RMG's TRASH TALK presented by Scrubs 911 focuses on sports and sports personalities in the Laurel Highlands region and we will be adding new content on a regular basis. Click here to return to RMG Sports' main page. Who do you want to see on RMG's TRASH TALK presented by Scrubs 911? Let us know on Facebook or Twitter! RMG's TRASH TALK's set is located in RMG's Studio 2 in Somerset.